Soft material to protect and keep brushes and other tools in good condition and in one place. Accommodates up to 20 brushes or small tools, the inner towelling fabric will help to absorb excess moisture. 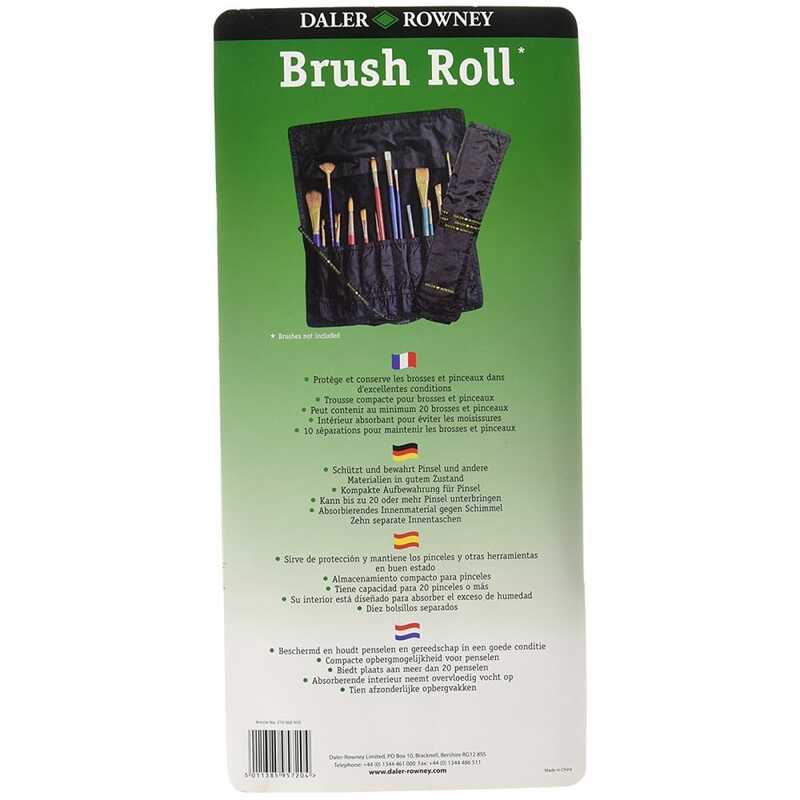 The ten separate pocket compact brush roll is ideal for using outside our in classroom/workshop rolls up to fit in a art bag and easy storage keep all your brushes together.